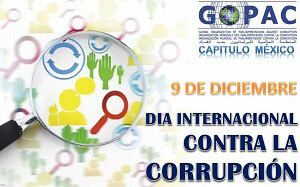 November, guided by the C20 Communique endorsed by civil society organizations from 91 countries, including GOPAC. An assessment of the extent to which the C20’s 2015 policy recommendations were reflected in the G20’s commitments has just been released here. From 8 to 10 December 2015, the African Parliamentarians’ Network Against Corruption (APNAC) held a regional meeting in Niamey, Niger gathering five of its francophone national chapters. Representatives from APNAC-Democratic Republic of Congo (DRC), APNAC-Madagascar, APNAC-Mali, APNAC-Niger, and APNAC-Togo participated in panel sessions which included members of the general public and media. At the closing meeting, attendees signed the Niamey Declaration (only available in French) outlining commitments aimed at strengthening anti-corruption regimes in French Africa. 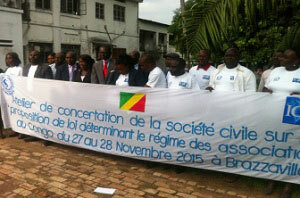 On 9 December, APNAC-DRC, on a more local basis, organised a lecture forum in Kinshasa, DRC which sought the participation of members of civil society. The event included a speech given by the national chapter’s Vice-Chair, Honourable Upira Sunguma Kagimbi Dieudonné, discussing the current state of corruption in DRC and what the country should be setting itself to achieve by year 2035. GOPAC Peru Chair Mr Carlos Bruce Montes de Oca presented a motion on 9 December to the Congress of the Republic of Peru, which was signed by several congressmen and women, including members of the national chapter. The motion asked Congress to support and promote the United Nations’ (UN) #BreaktheChain campaign, to support the implementation of the UN Convention Against Corruption (UNCAC), and to promote and support the actions and GOPAC’s activities in the fight against corruption. For further details, please consult the complete motion (only available in Spanish). Also on 9 December, GOPAC Mexico Chair Dr Carlos Alberto Pérez Cuevas, along with members of the Mexican Chamber of Deputies and Senate, partook in an event held at the residence of the British Ambassador to Mexico. Dr Pérez Cuevas gave remarks on the work of GOPAC and topics discussed at our recently held Global Conference in Indonesia. In addition, two round tables were organised: one to address the priorities Mexico should be taking into account in their fight against corruption and the other to explore how the country can best coordinate efforts of stakeholders aimed at achieving anti-corruption goals. On November 27 and 28 in Brazzaville, Republic of the Congo, APNAC-Congo took part in a consultation workshop which engaged members of civil society regarding a draft bill stipulating rules and regulations governing associations in their country. 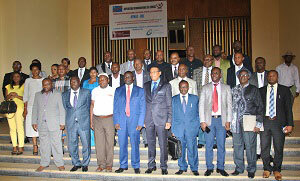 On the second day of the event, the national chapter produced and signed a Declaration (on page 2 – only available in French), and it, along with the results of the workshop, have since been shared with members of Congo’s National Assembly and Senate. As part of their International Anti-Corruption Day activities, GOPAC Serbia members delivered a presentation on 7 December on a new governmental portal intended for monitoring the country’s public finances, which they helped champion. This initiative has been in development for three years and represents a significant success in furthering the National Assembly of Serbia’s oversight efforts. We invite you to read a statement written by GOPAC Serbia Chair Olgica Batic, MP outlining what the national chapter has been able to achieve this past year. along with the Speaker and National Council President are embracing strong parliamentary committee oversight,” said Mr Hyde. 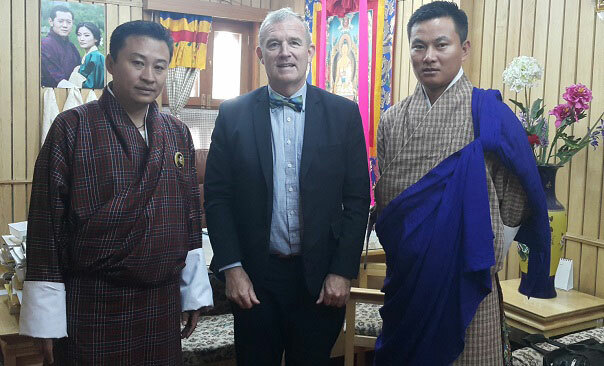 Following the workshop, GOPAC was delighted to learn that the Parliament of Bhutan ratified the UNCAC on International Anti-Corruption Day, 9 December, thus receiving much praise from the global integrity community. Loney. In addition, Hon Goiran, Hon Behjat, and Mr Hyde were elected as the national chapter’s representatives to the GOPAC Oceania Board of Directors. This year, GOPAC Australia plans to strengthen its cooperation with other GOPAC Oceania national chapters through their Parliament twinning programme. GOPAC Oceania Chair John Hyde recently published an article in the Commonwealth Parliamentary Association’s The Parliamentarian journal, in which he writes about UNCAC implementation and ratification in Pacific Island nations. We invite you to read his full contribution.